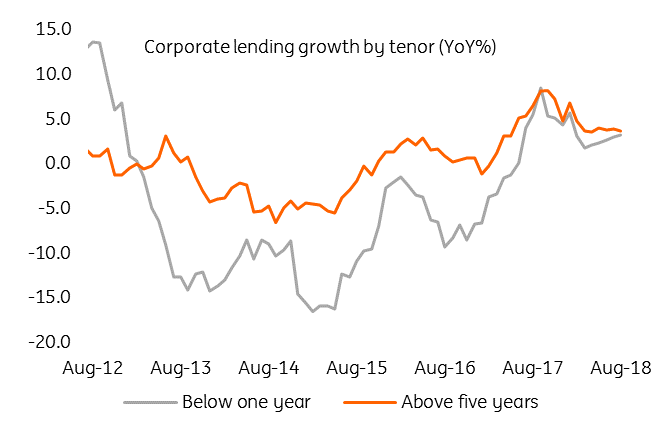 For over three years now, total lending has posted single-digit but remarkably steady growth rates. 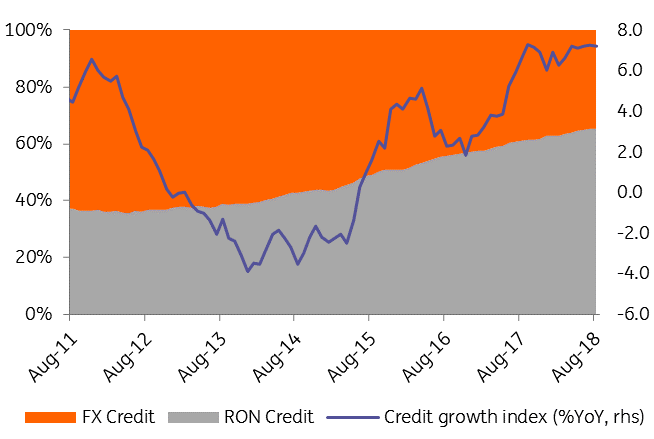 Romanian leu lending stood unchanged at a 65.3% share of total loans in August in what seems to be a broad stabilisation in the RON/FX lending split. Given a rather impressive track record of exchange rate stability and higher interest rates for local currency loans, we believe that a mild recovery of FX lending in the coming months is plausible. Corporate loans accelerated by 3.7% year-on-year in August from 3.3% in July. 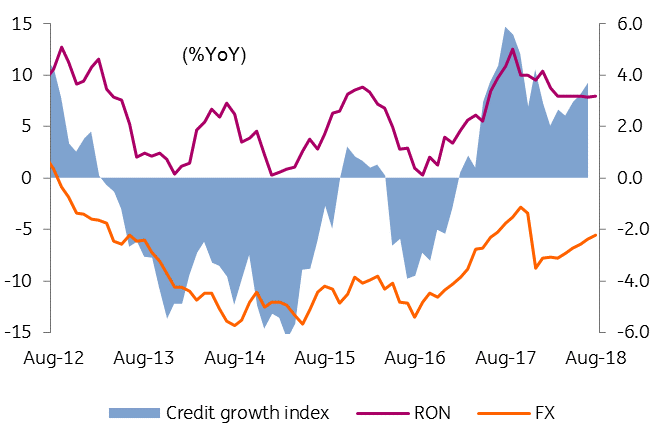 RON lending growth was flat in August at 7.9%, while FX lending continued to contract at -5.5% YoY. Short-term versus long-term lending is also gradually shifting in favour of the former. Retail loans grew another 10.9% YoY in August, slightly slower than 11.4% in July. 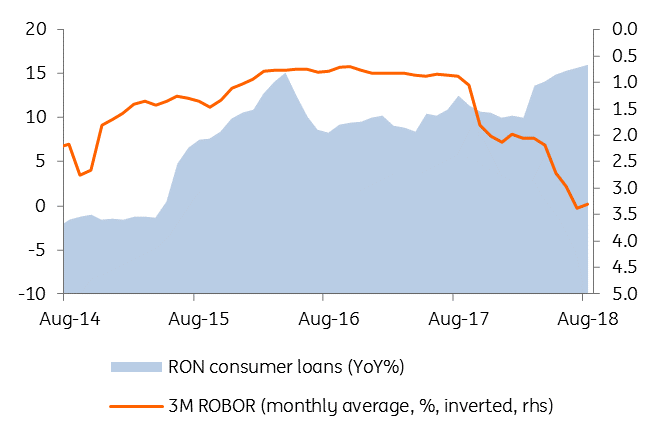 Consumer loans in local currency accelerated for a sixth consecutive month, at 16.0% YoY in August while mortgage lending growth decelerated for the seventh consecutive month, at 34.0% YoY. Last month, Governor Mugur Isarescu announced that some macroprudential measures would be enforced by September. We have yet to see these but demand for consumer loans in the last few months may have been spurred by a possible fear of missing out. Today’s data is likely to satisfy the central bank as it confirms that past tightening managed to bring inflation lower without compromising credit growth. As for macroprudential measures, we are still in wait-and-see mode. The NBR governor has repeatedly stated that the central bank does not want to cut off credit to the real economy. Hence, the measures are likely aimed at limiting loans to individuals, taking some pressure off the NBR to hike rates in order to keep credit affordable for the corporate sector.